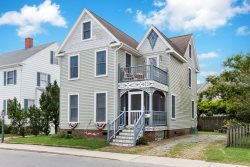 Victorian Cottage - An Awe-Inspiring Chincoteague Island Vacation Experience! Desirable Piney Island is the closest Community to Assateague National Seashore. Ride your bike to the Beach, Dining, Activities, & more! You'll love returning to this tranquil Waterfront Community lined with whispering Pines, which even has its own Kayak Launch area. Beach Pines - Total Tranquility on Chincoteague Island! Island View - Isn't it time for a New Adventure? Stoney Point: A magnificent Waterfront Retreat with breathtaking views of Assateague Channel & Lighthouse.